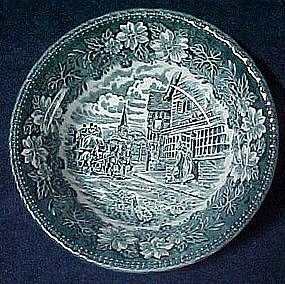 Nice 6 5/8" diameter cereal bowl Made by Royal Tudor Ware, Staffordshire England. Blue transfer pattern of Coaching Taverns. I have 2 of these available. Both are in pristine condition, and price is for each.